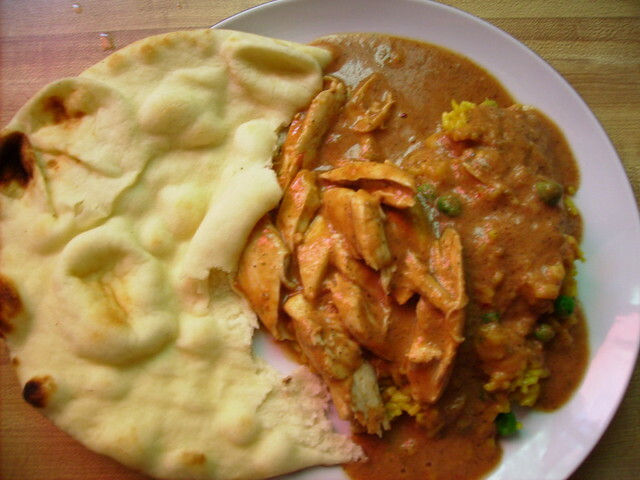 Chicken Makhani & naan / last night's dinner | Flickr - Photo Sharing! This is a variation on Pakistani "butter chicken". I use non-fat yogurt in place of heavy cream and 1/4 the suggested amount of butter in my recipe. Served with Saffron rice and peas. Mmmmmmmmmmmm....butter chicken. My friend Kinza made butter chicken that made me cry once. That looks so good.